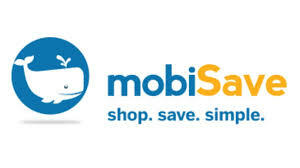 Download the free MobiSave app to your mobile device. Select your offers. There are 7 different categories of offers to choose from. Snap a picture of your receipt using the redeem button in the app. Get your money! Money is usually deposited within hours to your Paypal account. I received my deposit in less than an hour. As a free benefit, save up to 75% on prescriptions. Just show your MobiSave prescription screen to your pharmacist at checkout to receive your RX discount! Save your receipt and use this app in conjunction with Ibotta, Receipt Hog and Checkout 51 to maximize your earnings. Tip: If you are seeing the same offers after closing out of the app, just sign out and sign back in!